FV Hospital’s Ophthalmology & Refractive Surgery Department offers our patients comprehensive eye care services suitable for all ages. 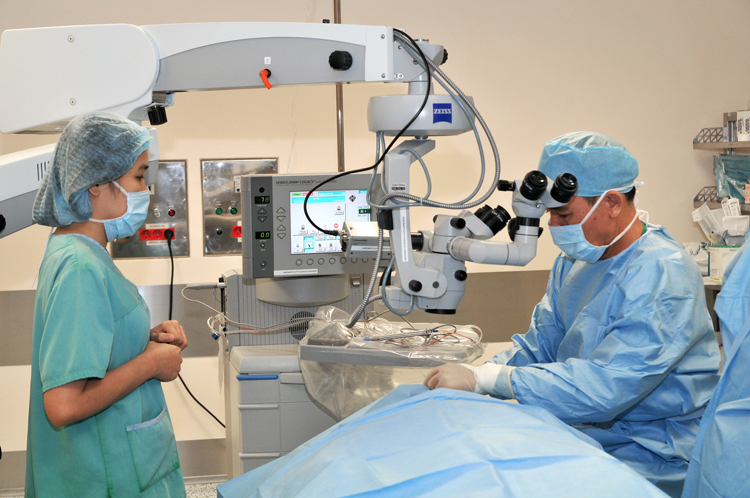 Our experienced team of ophthalmologists specialise in all areas of eye care and offer a full range of ophthalmic medical and surgical services. We encourage you to learn more about our practice with the resources found on our page on the FV Hospital website and look forward to taking care of you. 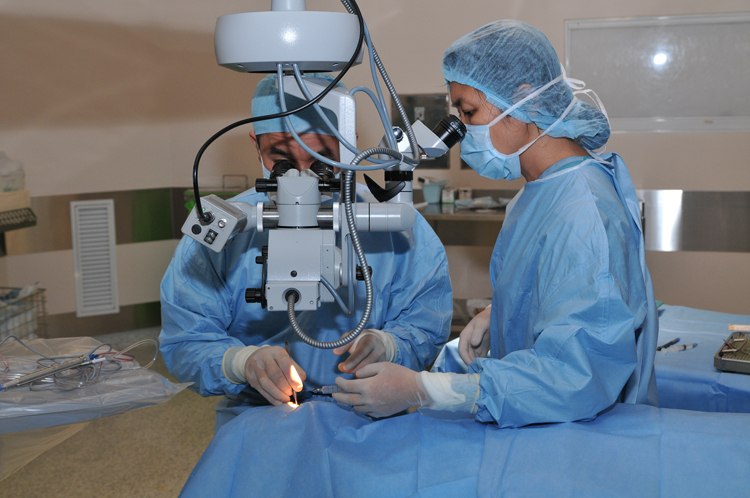 The Ophthalmology & Refractive Surgery Department is located on the ground floor of the V Building of FV Hospital. Having a regular eye examination ensures that our experts can detect and treat eye diseases, which are often invisible to the naked eye, early. Under our care we are able to slow down an eye disease’s affects or reverse its progression. 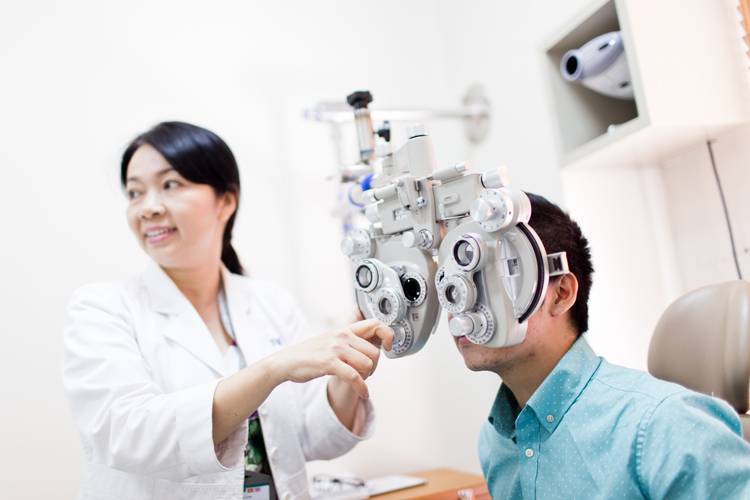 Our experienced optometrists are focused on determining visual acuity, detecting defects in vision, signs of injury, ocular diseases, or problems concerning general optical health. Inflammatory eye diseases can range from slightly reducing a person’s vision to leading to severe loss of sight. 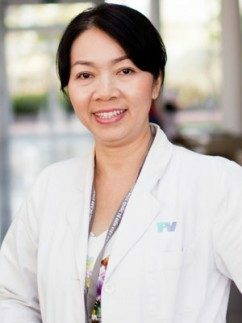 FV Hospital has a highly specialised team devoted to diagnosing and treating patients with inflammations within and on the surface of the eye. Strabismus, or lazy eye, or squints, is a vision condition in which a person can not align both eyes simultaneously under normal conditions. 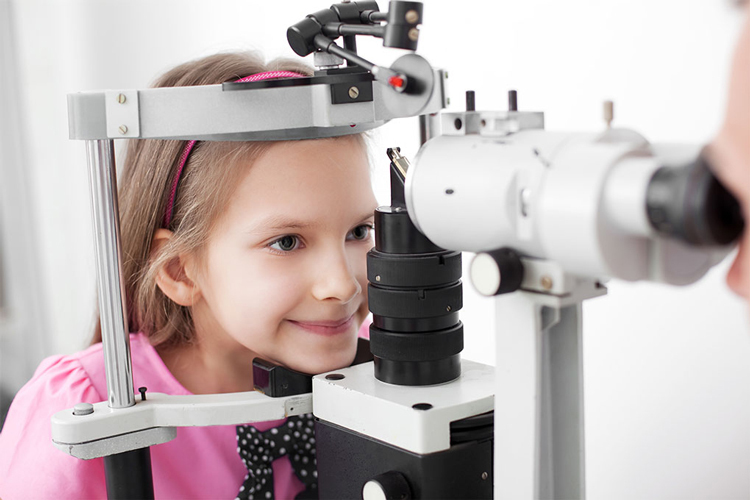 Depending on the severity of the strabismus, our experts are able to treat both children and adults through prescribed spectacles or surgery. Cataract surgery is a procedure to remove the lens of your eye and, in most cases, replace it with an artificial lens. Cataract surgery (phacoemulsification or phaco) is used to treat the clouding of the normally clear lens of your eye (cataract). Our experts are able to provide multi-focal intraocular lenses (IOL) which not only improve your long distance vision but also decrease your dependence on using glasses to read. Glaucoma is largely an invisible disease that is caused by the build up of pressure inside the eye. If the pressure is not reduced then it can result in the patient becoming blind. Depending on its severity, our specialists are able treat this through prescription eye drops, laser surgery or microsurgery. FV Hospital Laser Eye Centre, equipped with the latest advances in laser technology, can help you reduce, or eliminate, your dependence on glasses or contact lenses. By reshaping the structure of the eyes themselves, vision can be restored in a fast, safe and comfortable procedure. Ortho-K (sometimes called corneal refractive therapy or corneal reshaping) is the fitting of specially designed contact lenses that you wear overnight. While you are asleep, the lenses gently reshape the front surface of your eye (cornea) so you can see clearly the following day after you remove the lenses. Ortho-K lenses are prescribed to correct refractive errors (primarily mild to moderate myopia but also astigmatism and hyperopia). In some cases, Ortho-K also is used to correct presbyopia. Ortho-K lenses are also prescribed to slow the progression of childhood myopia. Vitreo-Retinal specialists provide diagnosis and treatment of diseases of the retina, vitreous and choroids. The most common conditions of this type encountered include retinal detachment, diabetic retinopathy, age-related macular degeneration, retinal problems relating to myopia, retinal vascular occlusion, ocular trauma, ocular infections, retinitis pigmentosa etc. AMD is an irreversible medical condition that results in the loss of a person’s central vision and is one of the major causes of blindness for those over fifty years old. Diagnosing AMD early through regular eye examinations is the best way to prevent vision loss. 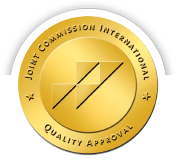 Treatment is provided by either laser photocoagulation surgery and/or intravitreal injection. 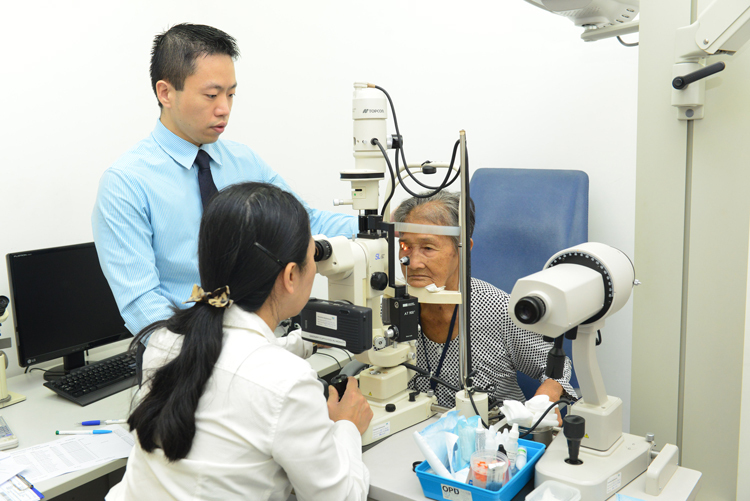 FVH’s Ophthalmology Department has developed a close partnership with the Singapore National Eye Centre (SNEC), one of the leading eye specialist centres in South-East Asia. SNEC specialists regularly visit FV Hospital to provide consultations. Through this partnership, patients with very complicated conditions may receive advice or highly specialised treatment such as specific retinal surgeries. The FVH Laser Eye Centre is an ultra-modern facility equipped with the latest generation Nidek Advanced Vision Excimer Laser System (NAVEX) from Japan and the revolutionary Femtosecond Laser Z4 from Ziemer.